Valerie is a full-time, NYC licensed associate broker serving Staten Island and Brooklyn since 2002. 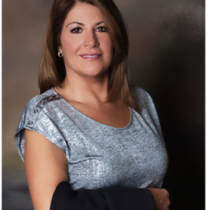 Asa Staten Island homeowner, she puts her insider knowledge to work in finding desired properties in the neighborhoods of choice for her clients Asa premier service age., Valerie will provide you with number ONE service. With the latest technology and continued education, you can rest assured that a professional and highly-skilled REALTOR is at your service. She is also certified in short sales, pre-foreclosures, and foreclosures. Valerie guarantees a smooth transaction at the best possible price for her buyers, sellers, and rental clients. She possesses the key ingredients that will benefit her customers: knowledge of the S.I. and Brooklyn market, a genuine understanding of customer needs, keen negotiating skills and unwavering commitment to realizing her customer’s goals. As your real estate agent, Valerie will be there for you every step of the way. She will facilitate the entire sale, from contract to closing. Valerie possesses an extensive Internet Marketing Program, which will give your home proper exposure and advertising. This unique marketing program has proven results. Feel free to contact me direct if you are buying or selling a home, or if you would like to know what your house is worth in today’s market.